Written by: sarahwagner on April 15, 2017. It goes without saying, I hope, that there are potential possible spoilers in the news, particularly where casting rumors are concerned. There are a lot of articles, interviews, and spoilers out right now for the upcoming season of Doctor Who which I’m not going to go into here – a quick Google will find the lot of them but I did find a short interview with Peter Capaldi where he shares his most memorable moment from filming Doctor Who – and I was more than a little surprised to discover it was the day they filmed the Cybermen emerging from St. Paul’s Cathedral. I was not at all surprised that it was less about the story and all about the fans who’d gathered to see it happen. Shirley Jackson’s classic ghost story, the Haunting Of Hill House is coming to Netflix! Deadpool 2 has cast their Cable. I’m not sure I agree exactly but Josh Brolin, with the right costuming and makeup choices isn’t bad. He’s no Stephen Lang (who would need precisely zero makeup) but maybe he’ll do. 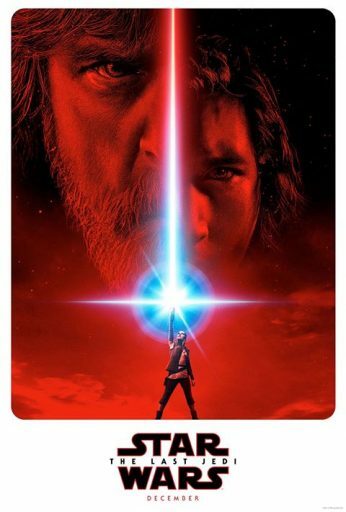 Star Wars: The Last Jedi has an official poster and I don’t know how I feel about it except that it makes me want to get in line for the movie today. And the teaser trailer doesn’t hurt either. A while back, a new Labyrinth movie was announced to a great deal of concern. Now we know that it will not be a reboot or a sequel but a movie set in that universe – a thing I can totally get behind. We also know who’s been tapped to direct (Fede Alvarez of Don’t Breathe) and to write (Jay Basu of Monsters: Dark Continent). EW has the first pictures from Kingsmen: The Golden Circle. Life on Mars? Maybe not, but life on Enceladus is a big maybe. Hydrogen laced plumes shooting up from the oceans of this icy moon tell scientists that life is entirely possible.